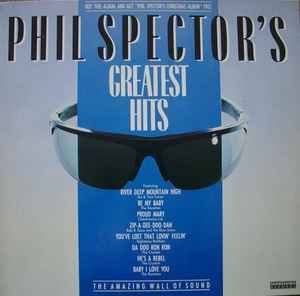 Produced by Phil Spector with The Phil Spector Wall Of Sound. 2, 10. ℗ 1963 Phil Spector Records Inc./Carlin Music Corp.
3. ℗ 1962 Phil Spector Records Inc./Carlin Music Corp.
8. ℗ 1964 Phil Spector Records Inc./Carlin Music Corp.
9. ℗ 1964 Phil Spector Records Inc./Screen Gems-EMI Music Ltd.
2, 9, 10. ℗ 1963 Phil Spector Records Inc./Carlin Music Corp.
3, 7. ℗ 1962 Phil Spector Records Inc./Screen Gems-EMI Music Ltd.
4. ℗ 1965 Polydor Inc./Chappell Music Ltd.
5. ℗ 1964 Phil Spector Records Inc./Screen Gems-EMI Music Ltd.
8. ℗ 1965 Polydor Inc./Big 3 Music Ltd.